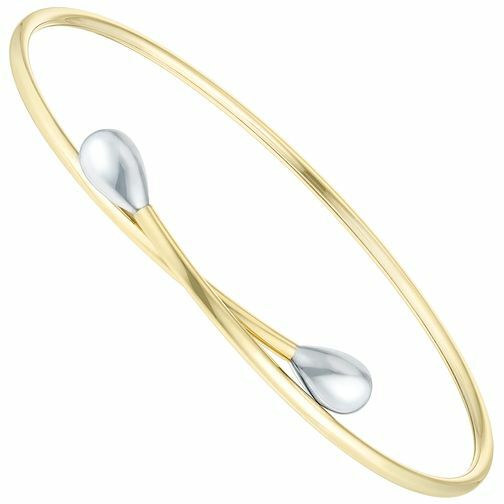 Exuding contemporary chic, this fluid 9ct gold torque bangle features contrasting 9ct white gold teardrop detail. Designed to complement your whole wardrobe with ease. 9ct Gold 2 Colour Teardrop Torque Bangle is rated 5.0 out of 5 by 1. Rated 5 out of 5 by Anonymous from Great value & greatly appreciated. My girlfriend loved this bangle so much that I was balls deep for much of the festive period.